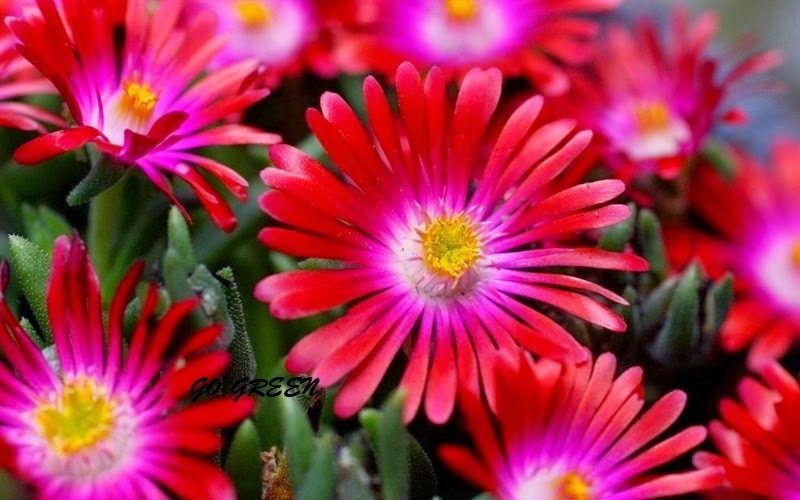 Delosperma cooperi (sometimes given as Mesembryanthemum cooperi) is also called "hardy ice plant." 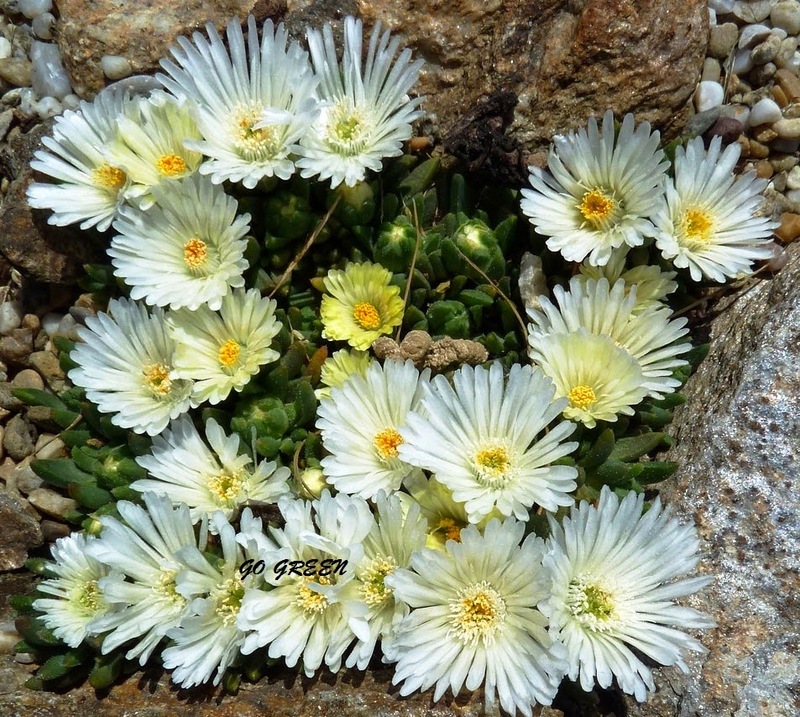 Delosperma cooperi is a flowering, succulent perennial. 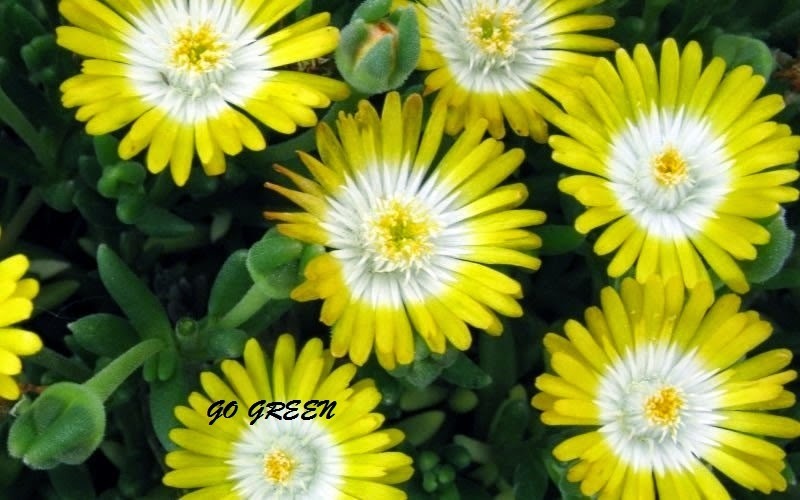 Planting Delosperma cooperi in full sun and in a superbly well-drained soil are critical steps to growing this succulents successfully. 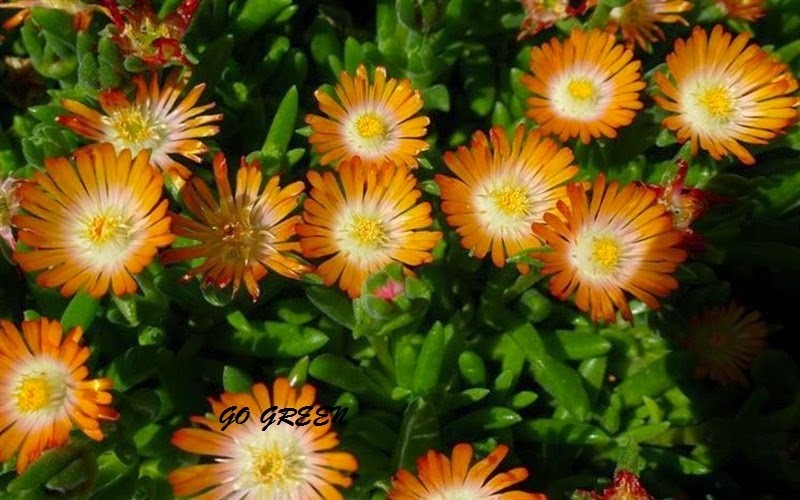 Avoid planting in clayey soils unless you are willing to improve percolation with soil amendments. 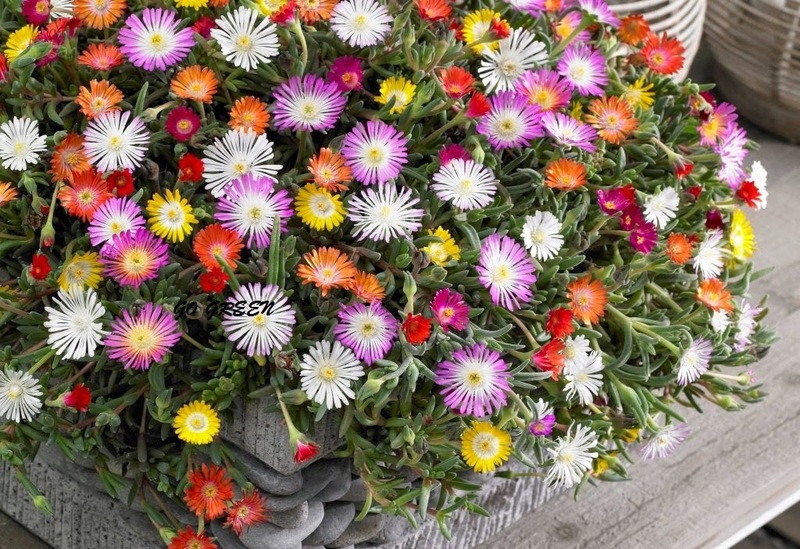 Ice plants are drought resistant plants and don't require rich soils, Despite its resistance to drought and dislike of wet feet, Delosperma cooperi will profit from an occasional watering in the heat of summer, as long as the drainage is excellent.